With the GDPR now in effect, eCommerce sellers in European markets need to make sure they’re in full compliance. Merchants are taking different steps to adhere to the law, and so are the eCommerce platforms they use. 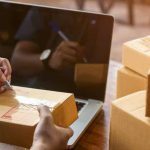 While this process may not be easy, there are some ways to lighten the load: for example, through eCommerce ERP integration. First, some quick background. The GDPR gives EU citizens more control over data about themselves that may be in the possession of various companies. Businesses in violation of the law can be fined 4% of annual turnover or €20 million, whichever is larger. As we said in our last post about GDPR, EU citizens are legislated rights such as the right to know what data a company has on them, as well as a right to request the removal of that data. eCommerce companies gather a lot of information about their customers, from purchase orders to viewing activity to what they put in their checkout carts, and more. Thus, GPDR is heavily applicable to these sellers and they ought to make sure they’re on the right side of the law. The more software/sales channels the company has, the more difficult GDPR will be to handle because that’s more places they’ll have to find data or delete data when customers make requests. But what if they could reduce the number of places to check? That’s where ERP software comes in. Having an ERP system helps with GDPR because it reduces the number of instances of customer data. The more software you have, the more software you have to check. 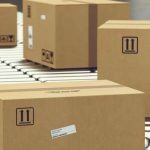 But with an ERP system, if you’re handling shipping operations yourself for your online customers, or doing marketing operations using customer info, you can find all that data in one system. Now, a standard benefit of eCommerce ERP integration is that customer data across all your sales channels are pooled into one location. That strengthens your ability to create insights about your customers, and also lets you develop marketing campaigns to certain segments. When it comes to GDPR though, this standard benefit can come with an additional reward. You can use the ERP eCommerce connection to help locate where data is likely to be present. For example, you can configure your system so that when data is imported from a particular channel, e.g. Amazon or Shopify, it fills in the, e.g. “Source” category or attaches a tag to the data. That way, when a customer requests data to be found/removed, you can narrow down the places it’s likely to be in. You can search for the customer in your ERP system, see that it’s, e.g. on Shopify, and then make a Shopify request to delete that data. So especially if you have multiple channels, e.g. brick-and-mortar operations, an online store, and marketplaces such as Amazon and eBay, etc., this process makes it much easier to find the data rather than having to look through everything. At the very least, even if you want to check the other locations, you can first delete it where you know it’s present, and then do a quick run-through and not be surprised if it’s not found elsewhere. Also possible, you could make the delete request directly from your ERP system and have it go out to your eCommerce stores. This would likely be much more difficult to configure, however. Now, there is one final benefit of ERP systems. Without integration, what often happens when someone wants to transfer data from their eCommerce to ERP (or vice versa) is that they download the data in an excel file, and save it, and then upload it elsewhere. They may even email that data around. However, every time this occurs, that means an additional instance (the excel file) of that data is being created. And as we said earlier, every additional instance is one that needs to be found and deleted when a customer request is made. Therefore, eCommerce ERP integration helps eliminate this, too. There isn’t any quick solution to GDPR compliance. Companies have to do their own due diligence and come up with an overall strategy to address the law. 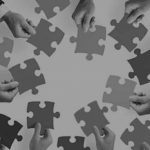 But integrating your eCommerce and ERP software can make things somewhat easier — and that’s something businesses should definitely consider. If you’re an eCommerce company and would like to learn more about our offerings, including ERP options and implementation – get in touch, we’d love to hear from you. You can use our contact form or give us a call at +1 (404) 631-6219. 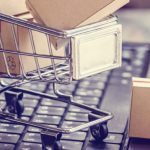 1 Comment on "How ERP Integration Helps eCommerce Sellers with GDPR"